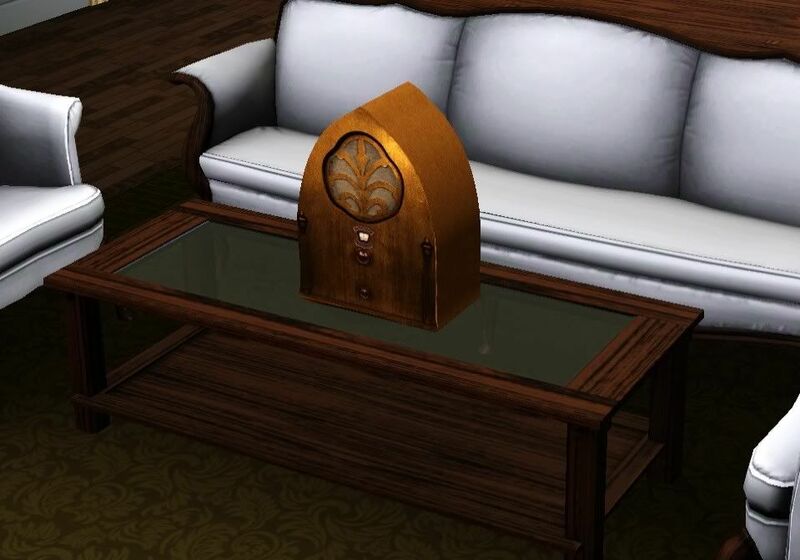 This is The Sims 3 version of my antique radio. The radio has 2 channels. 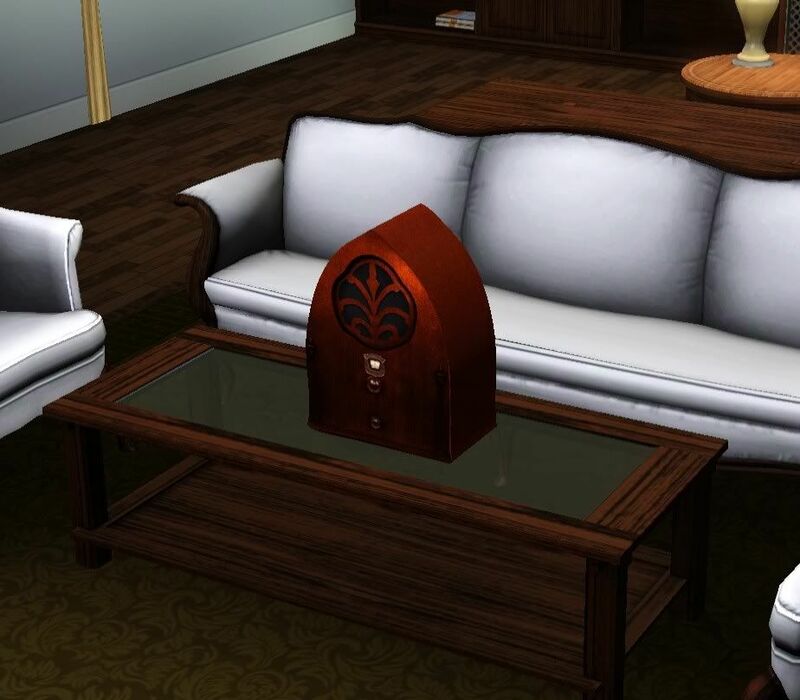 I actually for once, like this even better than the Sims 2 version, that's a first. Enjoy! 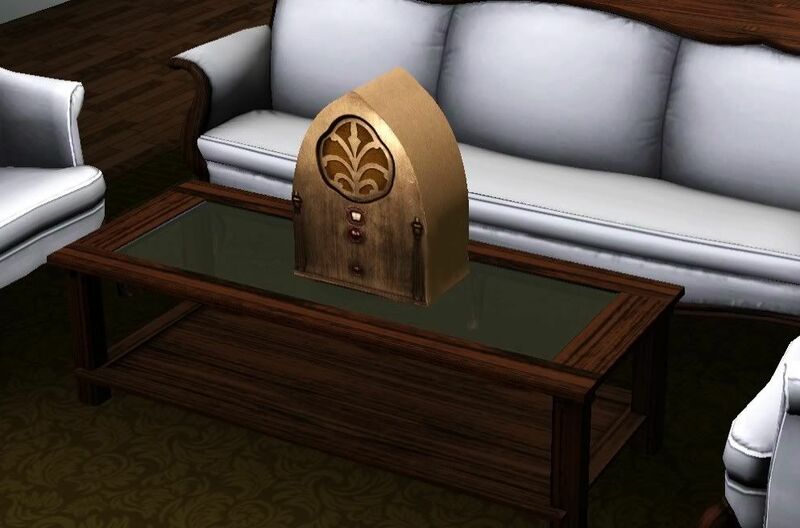 I've been really frustrated with the lack of (free) antique radios in the Sims 3, so I really like this! And it looks really nice in the pictures, too. I'll be trying it out soon. I really love it, thanks you ! Great job, Jon. It is so cool.